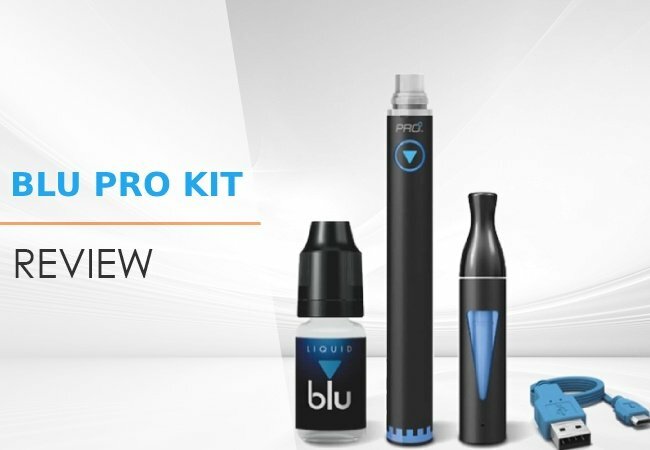 Although many Blu products cater to novice vapers, the Blu PRO kit certainly holds its own as a vape pen for experienced vapers. The Blu PRO kit comes with a long-lasting 1100 mAh battery. 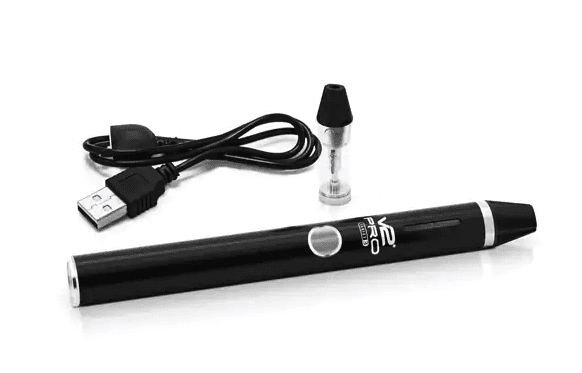 It grants users about 10 hours of vaping before it needs recharging. With battery indicator lighting and an accommodating three-hour charging time, the Blu PRO features a design that has convenience in mind. Measuring nearly seven inches long, this unit is not a small vape pen, but its sleek design allows it to fit comfortably in a pocket of the user’s choice, while also making it quite stylish. One of the main draws of the Blu PRO kit is its stylish yet functional design. The Blu PRO features a sleek look with a matte black finish. Its three parts are easy to disassemble and screw together tightly, diminishing any chance of e-liquid leaking from the clearomizer or vape tank. 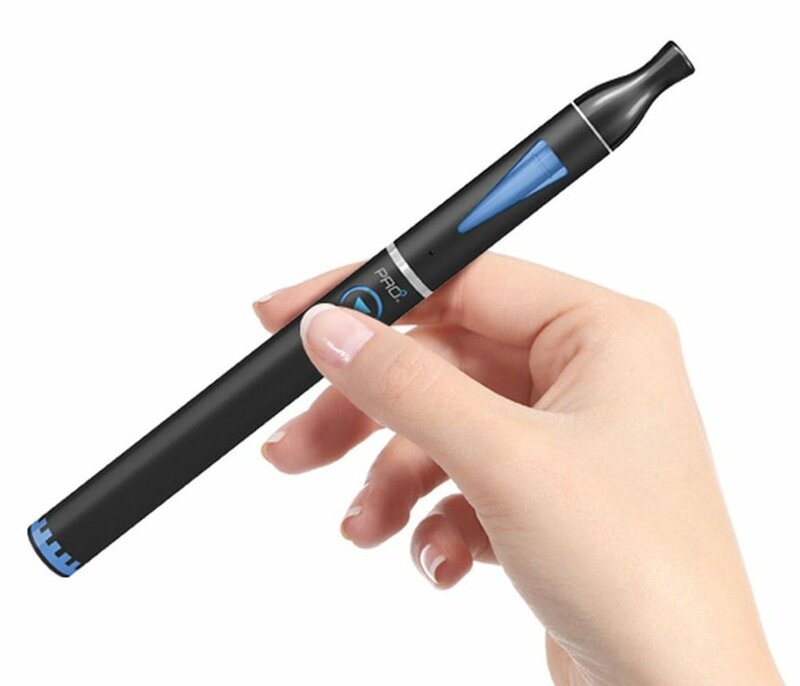 Two blue-tinted windows on either side of the clearomizer allow the user to easily check the liquid level. The tip of the rechargeable device features five LED lights next to an accent light that indicates the level of charge in the battery. The button features the brand’s distinctive blue triangle logo circled by an accent light that, along with the accent light at the tip, flashes blue to indicate activation and flashes red when the device needs recharging. The USB charging port sits next to the button. Another feature of the Blu PRO kit is its simplicity and ease of use. Likely due to Blu’s tradition of catering to novice vapers, it is a no-nonsense vape kit. Its three parts, easily distinguishable from each other due to silver accents, are easy to screw apart, fill, and screw back together. With a relatively affordable price, many experienced vapers might overlook the Blu PRO kit, but with its powerful battery, decent vapor volume, and a durable, well-built design, it deserves more recognition. 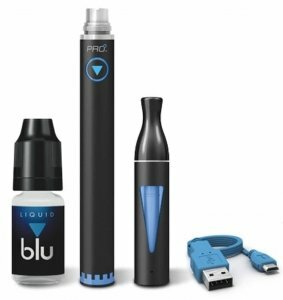 Is Blu PRO the Best Vape Pen? The Blu PRO kit looks good. It is relatively long, but if the user’s pocket can fit its full length, it sits there comfortably due to its slim design. Its matte black finish and silver and blue accents give it a stylish, sleek look. With an unmistakably shaped mouthpiece, this vape pen doesn’t hide its purpose. It shows itself off as a vape pen and does so elegantly. Many of its accents aid in its functionality. For example, the silver accents help distinguish its three separable parts, while the blue accents draw the user’s attention to its indicators and button. The clearomizer features two windows that allow the user to check the e-liquid level by shining a light through it. The five lights indicating battery charge give the vaper a simple way to check the charge level. This vape pen comes in only one color, but its design is solid and aesthetically pleasing. The Blu PRO kit is very easy to use. With its three, easily distinguishable parts and simple screw-based assembly and disassembly, putting it together is hard to mess up. Its single-button design makes it easy to use, requiring only five successive presses to activate or deactivate. 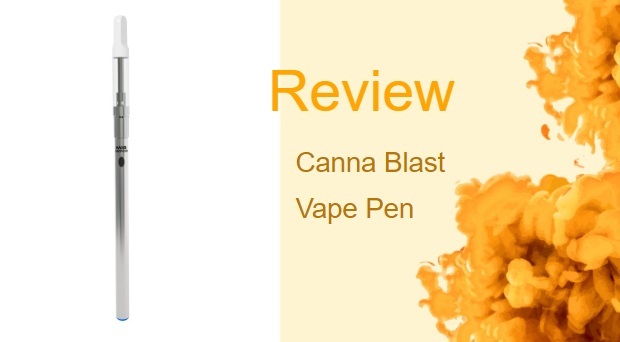 This vape pen doesn’t have an adjustable power output, and its vapor volume is only decent when compared to higher-tier vape pens, but this only adds to its convenience. 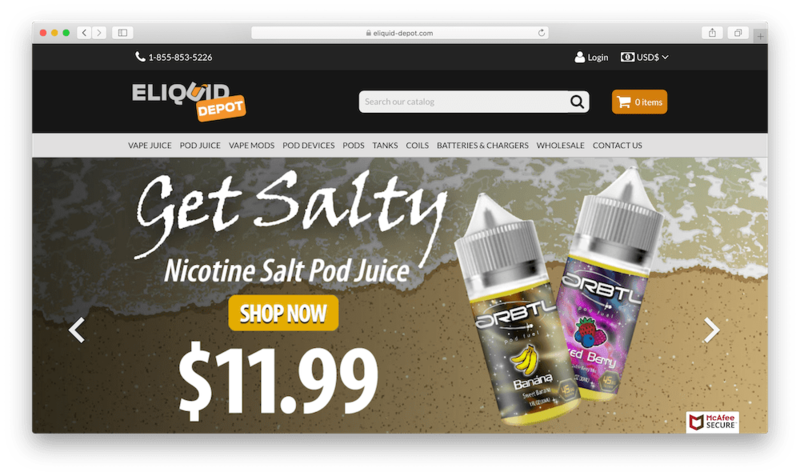 Users who are not looking for a vape pen that produces thick clouds can expect a decent, reliable vapor output from it. After taking it apart, the rechargeable device connects to the USB charging cable, and the clearomizer is easily prepped for refilling. Making sure the e-liquid only drips into the space between the centerpiece and the edge, the clearomizer can be filled with Blu best e-liquids of the vaper’s choice. Once the clearomizer is full, the mouthpiece can be screwed on and sealed while waiting for the rechargeable device to fully charge. After all the pieces are ready, it easily screws together for usage. 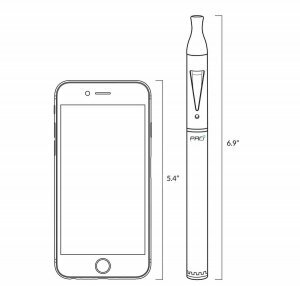 The Blu PRO kit houses a whopping 1100 mAh battery – rather big for a vape pen of this size and type. The three-hour charge time gives the vapers the ability to charge it while simultaneously preparing to leave the house. Its simplicity is also an important factor of its portability. With its single-setting power output and one-button design, the lack of any complicated mechanisms or electronics allows it to sit comfortably in transit. 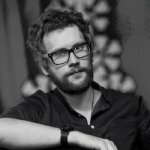 The user doesn’t need to worry about having to reset it before use or damage any complex parts. A single filling can produce about 300 puffs, allowing the user to bring very little extra e-liquid. The V2 Pro Series 3 compares well against the Blu PRO. It is slightly shorter than the Blu PRO and has three power settings compared the Blu PRO’s single power setting. When it comes to the battery, however, the Blu Pro comes out on top with its 1100 mAh charge capacity compared to the 650 mAh on the V2 Pro. Where the Blu PRO really beats the V2 Pro Series 3 out, however, is the price. The Blu PRO only costs about half as much as the V2 Pro Series 3. The Vapor Zeus by Vapor4Life brand is another serious competitor. It beats the Blu PRO in terms of colors available with six colors to choose from. With three different battery sizes, it can range from about two inches shorter to about an inch longer than the Blu PRO. Those three batteries can hold capacities of 650 mAh, 900 mAh, or 1300 mAh. Like the Blu PRO, it has only one power setting. Once again, the Blu PRO’s price fairs well, with the Vapor Zeus at about three times the price of the Blu PRO. With a solid, stylish design, simple and intuitive operation, and a very competitive price, the Blu PRO kit is a compelling product. 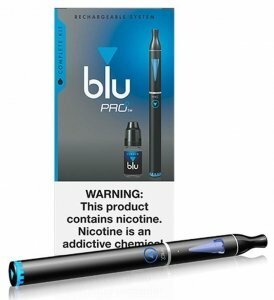 Experienced vapers might overlook it, but if they are looking for a simple vape pen that works well on the go, the Blu PRO can certainly make the grade, especially with its competitive price. 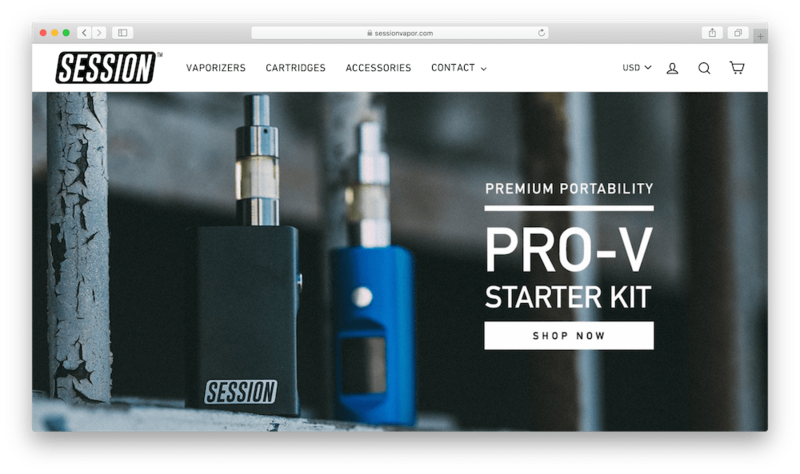 With its simple and intuitive operation and affordability, novice vapers may find what they are looking for in the Blu PRO.